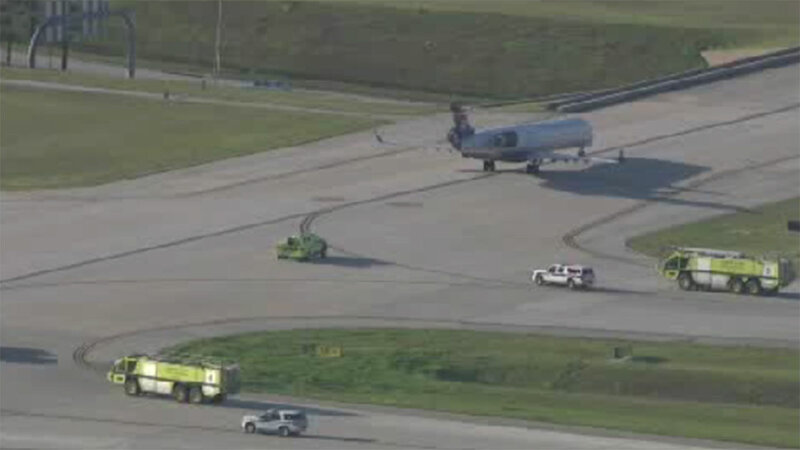 HOUSTON -- An Austin-bound plane made a safe emergency landing at Bush Intercontinental Airport Friday afternoon. The US Airways Express Flight 5568 reported low oil pressure and engine trouble so it was diverted to Houston. Emergency crews were readied on the tarmac, but the plane landed without incident. Houston Fire Department officials say one engine wasn't working, but the plane suffered no obvious damage. Passengers were being placed on other flights headed to Austin.